Mulford Dance Studio is one of the largest dance studios in South Jersey. They pride themselves on teaching professional classes with a family-friendly atmosphere for almost 65 years. Students grow and learn at Mulford Dance Studio. Fall registration for classes is now open. Give them a call! 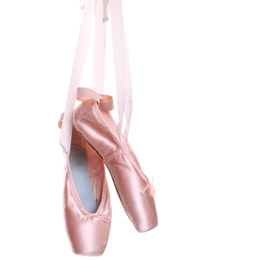 South Jersey Ballet School offers students a full range of performing opportunities. South Jersey Ballet Theatre produces two full-length ballets a year, including The Nutcracker in December and a full-length spring performance. They teach 3 to 18-year-olds, ballet, jazz, pointe, contemporary modern and pre-professional training. Attitudes has been the one-stop-shop for all of your dance-wear needs for over 25 years. They offer the largest selection in South Jersey from footwear to dance and gymnastics leotards. Stop in to see what they have to offer.